Mukesh Ambani's daughter Isha Ambani gets engaged to Anand Piramal! Celeb News Mukesh Ambani’s daughter Isha Ambani gets engaged to Anand Piramal! 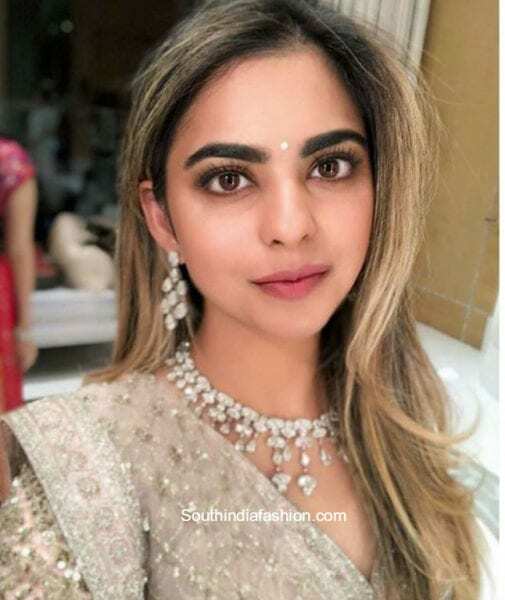 Mukesh Ambani’s daughter Isha Ambani gets engaged to Anand Piramal! 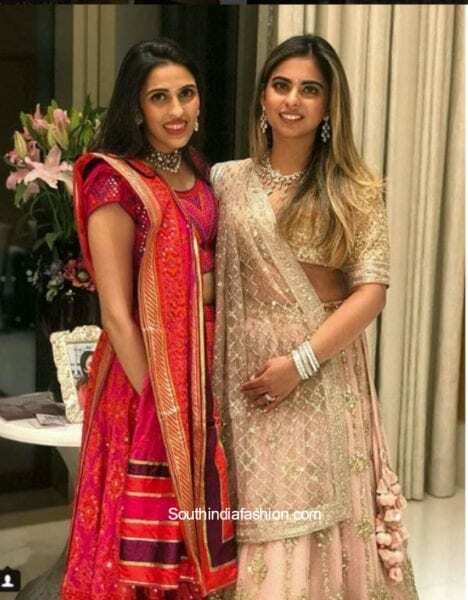 Mukesh Ambani’s daughter Isha Ambani is all set to marry Anand Piramal, son of businessman Ajay Piramal. Yesterday, the couple got engaged and were spotted at Siddhivinayak temple to seek blessings. According to reports, Anand proposed to his long-time friend Isha over the weekend at a temple in Mahabaleshwar. The couple then celebrated the occasion with their parents and other family members, including Isha’s two brothers Akash and Anant. 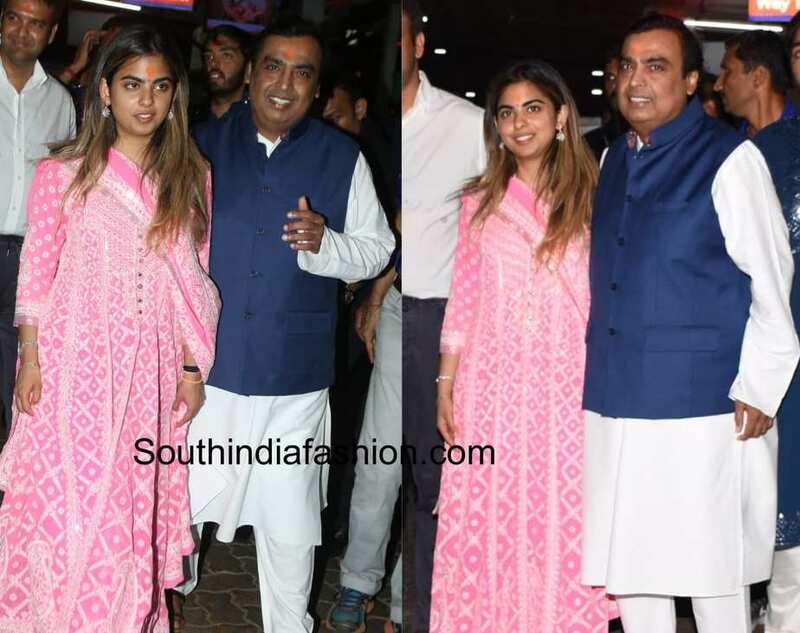 At the Siddhivinayak temple Isha Ambani looked beautiful in a pink anarkali suit . She rounded off her look with subtle makeup straight luscious hair. For Gor Dhana Ceremony, Isha Ambani opted for a pastel pink Sabyasachi lehenga. Diamond jewelry completed her look!